In this IC-Databook Software you will find pin assignments, connection layouts, function tables and the most important specifications available for the 40x.. and the 74x.. IC series. 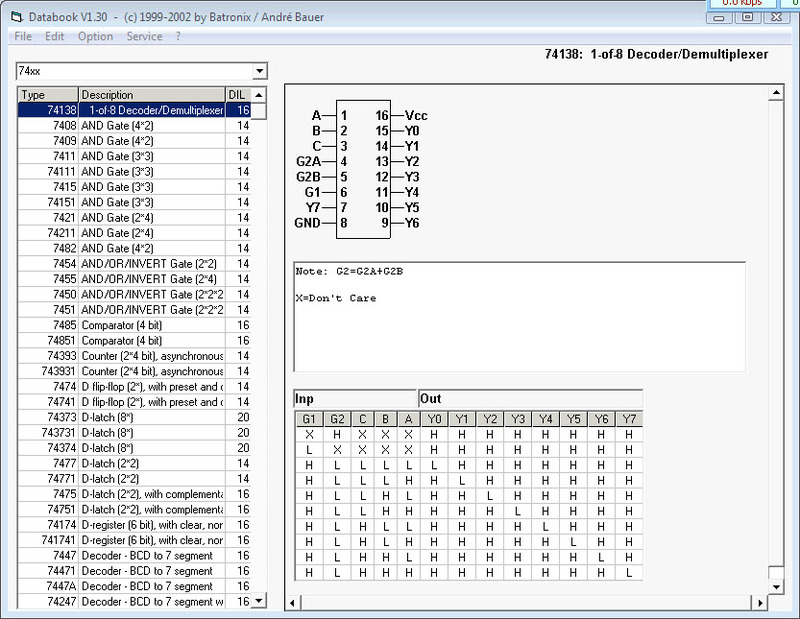 In the actual software version are already the data of more than 230 different IC’s. You can easily add additionally IC’s add or edit existing IC’s and exchange them with other users.